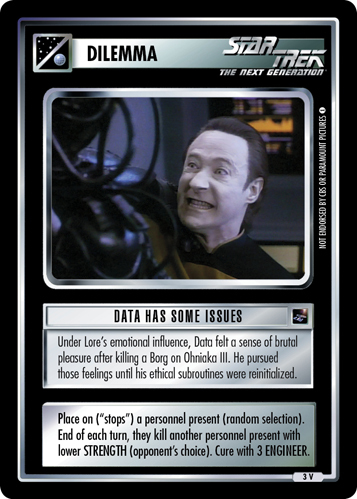 Under Lore's emotional influence, Data felt a sense of brutal pleasure after killing a Borg on Ohniaka III. 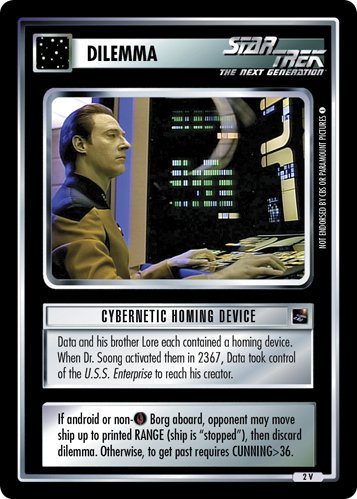 He pursued those feelings until his ethical subroutines were reinitialized. Place on ("stops") a personnel present (random selection). 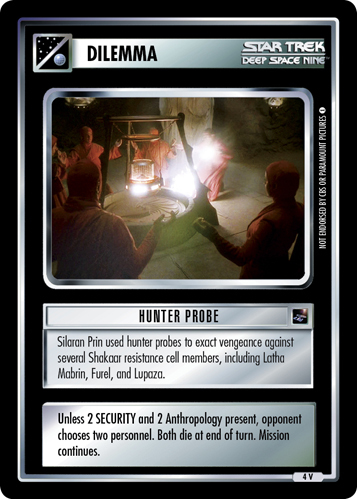 End of each turn, they kill another personnel present with lower STRENGTH (opponent's choice). Cure with 3 ENGINEER.